Making resolutions at the start of the year is something many of us do. Often these resolutions centre around a health goal, such as shedding extra pounds put on during the Christmas period or getting more active. Unfortunately, many of us set our expectations of ourselves too high and we fail to stick to our resolutions. However, the Nikken Everyday Organic-Based Weight Management Programme is based on three basic assertions for a healthy lifestyle: Cleanse, Balance and Energise. It’s simple and convenient making it much easier to stick to. It’s as easy as 1…2…3! Kenzen® Cleansedx is a gluten-free, 100% organic nutritional supplement, which may help contribute to the support or maintenance of normal liver function and digestion. Featuring organic Roasted Chicory Root, Milk Thistle extract, Turmeric extract, Bupleurum extract, Shisandra and Ashwaghanda. Each of these organic ingredients serves multiple purposes on its own, but together, work in synergy. Take 3 capsules, one 20 minutes before each meal (based on 3 main meals a day). KVB® Natural Food Mix in Vanilla or Chocolate flavour are formulated with more than 80% organic ingredients, naturally sourced organic protein from organic pea, organic rice and organic chlorella. Whether you’re vegan, vegetarian or just health-conscious, KVB® helps you put plant protein into your diet. To create a nourishing breakfast, snack or lunch, use KVB® Natural Food Mix as a base and add PiMag® water, non-fat milk, almond milk or coconut milk. For a delicious variation add your choice of fruit or vegetables and then blend until smooth. Kenzen Ten4® Matcha Green Tea Drink contains 80 mg per serving of natural caffeine from organic matcha green tea. The natural caffeine in organic matcha green tea binds to the naturally occurring phytonutrients to help slow down the absorption of the stimulant, giving it a slow release effect. Kenzen Ten4® Matcha Green Tea Drink is made with USDA certified organic ingredients, contains no added sugar and is only 8 calories per serving (4 calories per 100ml). To kick-start your New Year contact your Independent Nikken Consultant to order the Everyday Weight Management Pack – containing everything you need for the next 30 days. Just a few simple steps make all the difference! Are you earning money with Nikken? If you are a Nikken Independent Consultant, you have the potential to earn money. Whether you’re working your Nikken business part-time or full time, you have the ability to generate income. The formula for earning is simple. The more products you sell, the higher your sales volume and the more you earn. Unlike many other network-marketing companies, with Nikken you’re not expected to personally purchase products in order to earn money. Our business model encourages you to sell at least 500 points worth of product to customers every month, develop at least three frontline entrepreneurs who do the same and duplicate the process. As your organisation’s sales volume increases, you will naturally advance in rank and gain even more financial benefits. When starting out it’s not necessary to think about rank advancement, if you stick to the simple formula, sell at retail. Sell a lot. It’s not often that a company lowers prices substantially and Nikken did just that a couple of years ago to help Consultants move lots of product and earn retail profits. The Nutrition, Personal Care and Magnetic Support products have the lowest prices so new prospects will be able to try Nikken quality for a small expenditure. They’re what are known as “door openers” by our industry. Once people experience their superb benefits, they’ll naturally be interested in other products. As long as you do your job and follow up. To make sure your monthly sales stay consistent and grow, get your customers to go on Autoship. That way they won’t run out of product, will receive a substantial price discount and you are guaranteed a certain amount of sales every month. Each customer you have on Autoship adds to your monthly volume. You can also think of Autoship as the easiest way to retain your customers. Again, you personally are not required to spend money on purchases. As you continue to build a strong customer base, you should also be sponsoring people who want to earn an income instead of just purchasing products. You should start them off by explaining the merits of selling as many products at retail as possible and retaining their own customers by placing them on Autoship. This may sound like facile training but the truth of the matter is that keeping it simple is what makes it work. Think of it this way: You’re giving people a deal that shouldn’t be passed up, great products that help create Active Wellness and a more balanced lifestyle. Statutory Warning – 1. It is illegal for a promoter or participant in a trading scheme to persuade anyone to make a payment by promising benefits from getting others to join a scheme. 2. Do not be misled by claims that high earnings are easily achieved. The economic crisis that the world has been in these past few years teaches us some valuable lessons about the challenges we face within the Direct Selling Industry. For example, we see from government statistics that over the past 100 years we have averaged a recession every six years. However, in spite of the regularity of these financial dips, we see a global economy that continues to grow over time. In fact, compared with our ancestors of the 1820’s we are on average 50 times wealthier financially than they were. That’s impressive. At the current rate of progress people can expect their incomes to double in 35 years if they don’t change anything. Very importantly, we see that the East is growing faster than the West. One reason for this is that the material dream of the West that was promoted in the 1950’s (a home, nice car, travel etc.) has largely been fulfilled for many people. The East is only just starting to run with this material dream. Well, what has all this to do with your business? Firstly, we see that every company, industry and in fact global economies have patterns of ups and downs. This is reassuring if you are in a downward position right now. It says it doesn’t have to be the end and you can pull yourself up and out. But that isn’t my point! My point is – HOW? How do you pull yourself up and get your business growing in todays climate? What will attract people? You see, with all of this financial growth that the world has experienced, especially over the past 100 years, we see the world has changed. Dreams that were promoted by our industry years ago, about financial freedom, achieving material success or claiming your right to the status symbols of financial accomplishment such as big homes, fancy cars, swimming pools, luxury holidays are quickly becoming irrelevant. Most people find that even if they are not happy in their employment, they can still have much of these rewards because they are so accessible. Even people that are unemployed and reliant on government benefits seem to have the means to go on holidays in Europe and buy massive widescreen TV’s. It has also been proved through research that once individuals achieve a certain level of disposable income, what you earn thereafter doesn’t have the ability to make you much happier. It is hard to say you are happy and fulfilled when you cant afford to eat or stay warm in winter for example, so we see that income is essential for a core level of happiness. But beyond that it is proven now – money doesn’t make you happy! So, the material age is in transition and is changing. Dreams are being fulfilled in large scale. We are wealthier in significant proportions to our ancestors and economies continue to grow! So how do we attract people into our business in this climate? What message can you give to people to attract them to your business when they are comfortable already? The answer can be found by looking at the existing financially wealthy, or by asking a simple question: If you were already a millionaire – where would you go to find happiness and fulfilment? The answer is found in PURPOSE, but most importantly its SHARED PURPOSE! It is about being inspired to engage in a cause that is bigger than you are. This is always found where relationships with others are essential. It is always connected to wellbeing or in any one of our five pillars. Nikken of course, has all five pillars at its centre – not just one! And we are abundantly rich in relationships. Great businesses and brands have already discovered this truth and are growing and evolving with the tides of change. If you are stuck right now, perhaps you need to rediscover your message – what cause and purpose are you advocating? It can’t be about the money! How does partnering with you and your business help others to discover higher levels of happiness and fulfilment? What kind of wellbeing can be experienced through association with Nikken and your business? What types of relationships can be enjoyed in your team? Get this message right – and your business will start to change. And remember the words of Saint Francis Assisi who is believed to have said “always preach the gospel and where necessary – use words!” Our message, whilst not the gospel, is best preached not with words but by example. Let’s live our message, fulfil our purpose and show the world what greater happiness can look like. Then, they will come to us, partner with us and share our purpose. Being Our Best Self. Part 2! When we think of the immensity of space we recognise that finite minds will always struggle to understand the infinite. Space goes on and on with no beginning and no end. That is hard to fathom. However, it has been proved that whilst space is infinite is size, it is also continually expanding. Get your head around that! In spite of the grandeur of it all, the universe continues to get bigger and continues to grow. As I compare this to the true potential that lies within each of us I recognise that to measure our full potential is to measure something that is ever growing. Our potential is ever expanding. As a jazz musician in my youth I expanded my ability to play music through practice, hard work and great enthusiasm. My ability to play my instrument five years after I first picked it up was much greater than at the beginning. So, how would I measure my full potential as a musician as an example, if my potential is ever changing, improving and growing? Secondly, the lessons I learned practicing music and growing in my love for it have expanded other areas of my life and increased my potential in other things. So, how do you measure that? Everything seems to weave together into an intricate connected web of ever expanding potential. 2. I can measure the rate of my improvement and chart my progress. This is critically important because it ensures we are on track. Have you ever flown in a plane and watched the course being charted in one of the passenger viewing screens in front of you? Notice how often it can zig zag or seem off course? Due to all of the different influences on the plane when it travels it is continually getting off course and continually getting back on course. Technical equipment and dedicated staff ensure that progress is monitored in order to arrive at the right destination on time. As we pursue improvement in our lives we must dedicate time and resources to ensuring we are staying on course! At school we have exams, assignments and reports. In work we have appraisals, budget reviews, deadlines etc. What do you have to help you track your improvement and growth in Nikken? I would like to encourage everyone to take time out to develop their eye of faith. We can do this by reading good books, attending events and seminars and by associating with inspiring people. I would also like to encourage everyone to establish a measurement how you progress towards achieving your goals. As we apply this pattern in our lives repeatedly, we can discover the truth that our potential is like the universe – ever expanding and always growing. We all have greatness within us and we tap into it and expand it by keeping our eye on the prize and continually pressing forward with an eye of faith! Being our Best Self! Part One. Robert Louis Stevenson once said “To be what we are and to become what we are capable of becoming is the only end of life”. For many people the first part of his statement “to be what we are” is deceptively easy. I say deceptively because many of us do not know who we really are. Note that Stevenson did NOT say “be what you think you are”. Who we are and who we think we are often two very different things. Additionally, to be what we are capable of becoming is also a challenge as many of us can hardly glimpse even a small spec of what our true potential looks like. So I ask you these two life defining questions: First, how do we discover our true worth? And second, how do we discover our full potential? These two questions are difficult to address in a blog that of necessity needs to be brief in size, so I will break this subject down into two separate blogs and answer each question separately. In the 1940’s a company in America introduced to our shops Ready Made Cake Mix. All you had to do was add water, mix and put in it in the oven. Brilliant? Actually no! It turned out that first time round people didn’t like the taste. But the great minds behind this new product believed that it did taste great and that their customers were telling them something else. So, they took out of their ingredients the milk and the eggs and then told their customers “just add milk, eggs and water, then mix and put in the oven.” It turned out to be a huge success. Yet – it tasted the same! The end result had exactly the same ingredients. Why did they like it more? Because customers could now say “they made the cake”. They invested in it. The great minds behind this new product understood that the more we sacrifice for something the more we value it. In fact, since then science has proved this over and over. However, in terms of “self” it can sometimes be hard to see what sacrifices have been made for us or by us. There is a simple attribute that helps us to see these sacrifices that make us incredibly valuable and of immeasurable worth. It is the attribute of gratitude. In 1944 Corrie ten Boom and her sister Betsie were arrested for hiding Jews in their home in the Netherlands. For their crime they were taken to Ravensbruck Concentration Camp. As you might imagine, their experience in such a prison was horrific and continually life threatening. On one occasion Betsie was praying and expressing thanks for everything. Included in her prayer was “thank you for the fleas!” Her sister Corrie was astounded by such comments and afterwards argued such a point was ridiculous. 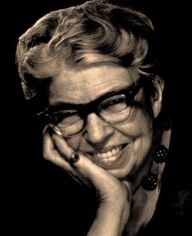 Betsie explained that we should be thankful for everything, not just the pleasant things. Under the circumstances you can only imagine what Betsie was saying would be most difficult to accept. Her point proved to be true however, when the two sisters later discovered that guards had refused to enter their barracks because they were flea infested. The distance this created between the prisoners and the guards proved to be life saving and significantly improved their quality of life whilst in the camp. Turns out “thank you for the fleas” made sense! I’m stronger than I ever knew. *Sacrifice is not simply what others do for you, but also what you are called to endure or pass through for yourself or others. In conclusion to this discussion, we learn that when we are truly grateful, the feelings induced by such positive emotion lead us to act better, to become more, to lift others, to love more. This creates a virtuous circle of ever increasing joy where value is added to ourselves, others and the world. Herein lies the secret: Gratitude therefore is not just a revealer of value – it is a multiplier! Do these women inspire you? In life it is important to be inspired. It helps us to mentally stimulate our mind and generate ideas in preparation for an action that we might not have been motivated to do. Motivation does not always come easily or naturally- especially during life changing matters. One particular lifestyle change is Menopause. This unavoidable change occurs in middle aged women, and can disrupt daily activities and sense of well-being. Although the accompanying signs affect each woman differently, most women still need to be mentally stimulated with confidence to feel a change for the better. Nikken Europe believes success stories are a great source of inspiration for women. Reading someone else’s success can push you in the direction of your own dreams, helping you develop potential, and above all enabling you to have a healthy mind- which is vital for every woman’s health. Eleanor Roosevelt, the First Lady of the US, used her strength and courage to fight for civil rights, women’s rights and economic justice. She was able to enhance the status of working women which inspired confidence in future businesswomen and female entrepreneurs. 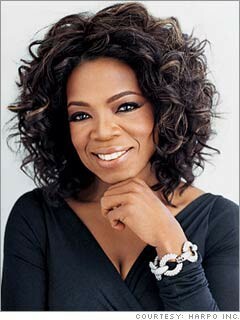 Oprah Winfrey is the first African American woman to become a billionaire as a top interviewer in her own multi-award winning talk show. Her success inspired women to be passionate for what they do. She was even called “one of the 100 people who most influenced the 20th century”. 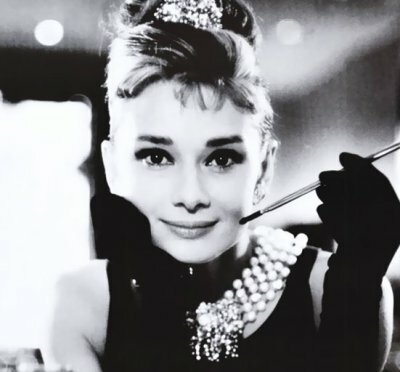 Audrey Hepburn, the ‘third greatest female screen legend’ in the history of cinema, was both a film and fashion icon. Her glamorous appearance inspired designs by Givenchy, and won her ‘international best dressed’ list in the hall of fame. In her later life she worked with UNICEF, in disadvantaged communities where she was awarded as a ‘Goodwill ambassador’, encouraging generosity and kindness to others. Isn’t it amazing how collectively these inspirational women can influence us to feel confident, passionate, and generous? Let the success stories of Eleanor Roosevelt, Oprah Winfrey and Audrey Hepburn be an inspiration to you. They were all successful women, still working in their 50’s, the age when women face the change. If they can do it, so can you! 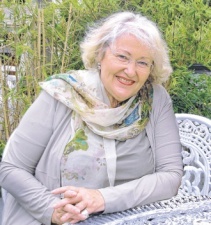 These stories inspire us by showing how people like us have found the courage to overcome symptoms associated with the menopause, make the best out of worse situations, achieve the ‘impossible’ and refuse to be slowed down by psychical limitations. There will be setbacks along the way but try not to let them discourage you. Success stories can remind you to keep trying- especially Oprah Winfrey. She entered the world into childhood poverty yet still managed to create enormous wealth in her life. Being motivating and inspiring, is not just about being rich and famous, it’s about being energized to reach your dreams. The menopause does not restrict your life in anyway. How can you become inspired? Take steps towards your dreams. Did you find this post inspirational? Would you like to read more quotes from inspirational women? Just simply follow us @NikkenEurope and search for the trending hash tag #InspirationalWomen or #MondayMotivation. You will also discover other Tweeters using this hash tag with conversations relating to #InspirationalWomen which means you can really get yourself inspired! You can also follow our ‘inspirational women’ pinboard on Pinterest. Just search ‘Nikken Europe’ and follow us!